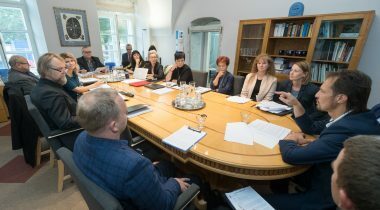 The Cultural Affairs Committee is a standing committee of the Riigikogu that deals with legislation on education, research, youth work, language, media, heritage, sports, creative personalities, performing arts institutions, museums and libraries. It prepares the discussions of relevant laws and resolutions in the Riigikogu. The Committee also exercises control over the activities of the Government within its area of activity. Representatives of the stakeholders and the experts of various fields, from students to the employees of ministries, take part in the sittings of the Cultural Affairs Committee. Draft legislation on education and culture is prepared in cooperation with them and sent for discussion to the plenary of the Riigikogu. At parliamentary hearings the Committee gets an overview of the functioning of the adopted decisions, for example, of the readiness of the young people to enter labour market or the welfare of an educational institution. 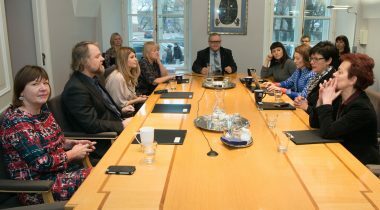 Within its area of activity, the Cultural Affairs Committee gives its opinion on Estonia’s positions in the affairs of the European Union. It discusses which EU initiatives on education, research or youth work are suitable for Estonia, and about which it is necessary to submit our positions and motions to amend. Besides draft legislation, the Committee also prepares the discussions on the important issues of its sphere of activity in the Riigikogu. For example, in the beginning 2013 the discussion of teacher education as one of the key issues of education took place in the Session Hall of the Riigikogu. One of the recent achievements of the Committee is the approval of the fundamental principles of cultural policy that promote the diverse development of cultural space and participation in cultural life. The Basic Schools and Upper Secondary Schools Act and its amendments, and also the changes in the financing of higher education have also found wider attention.